Up to (10) employees receive bimonthly training free. Additional employees may be listed for $40 per person. Top sponsorship billing on GAA website including link to sponsor’s website. 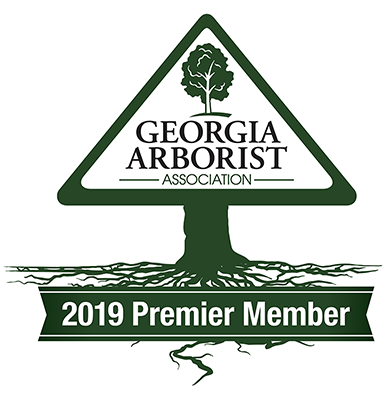 Premier Member Logo for Member's Website. Unlimited number employees receive bimonthly training free. Promotion as a sponsor of the GAA on workshop and training agenda handed out to attendees at workshops. Promotion of your company sent out to membership in a GAA email update. Silver Level sponsorship of the next TCC. Top sponsorship billing just below premier on GAA website including link to sponsor’s website. Open to students enrolled in Arboriculture, Urban Forestry, Horticulture, Forestry, Landscape Architecture, or other related programs. Student members are required to provide proof of status by means of current student ID card or an advisor’s signature. Open to all seniors 65 years or over. This member level has the same benefits as an Individual Membership, except students are not included in the member directory. Awarded to those individuals who have made Notable Achievements in our Association.